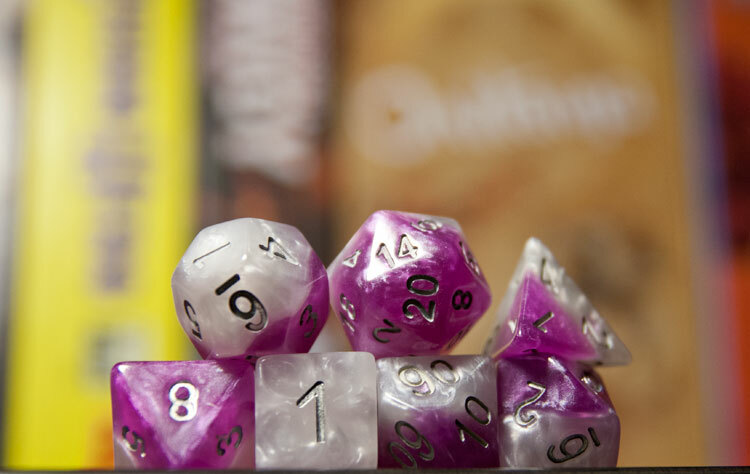 Can a gamer every have too many dice? Obviously the correct answer is no. You can literally never have enough dice. It’s a scientifically proven fact*. *Fact not verifiable. With that in mind, the crew at Gatekeeper Games are doing something unique with dice right now. Enter the Halfsies World Tour. In the name of both fun and promoting gamer unity, they sent out a pile of Halfies prototypes around the world looking for some great photography. Halfies have been shot in 5 different continents so far, with more locations still being added. That was Part One. Part Two is happening right now, with their Kickstarter campaign. Right now, you can help decide which of the 50 prototypes get made into available sets. For the dice themselves, they are quite unique. As implied by the name, Halfises are each made up of two colors: a semi-translucent half and a pearlescent half. Gatekeeper Games also says that the Halfsies are 15% denser than your average die. While I don’t have any kind of calibration equipment to test that, they do feel pretty solid and roll well. Which is what I really care about (other than how cool they look of course). 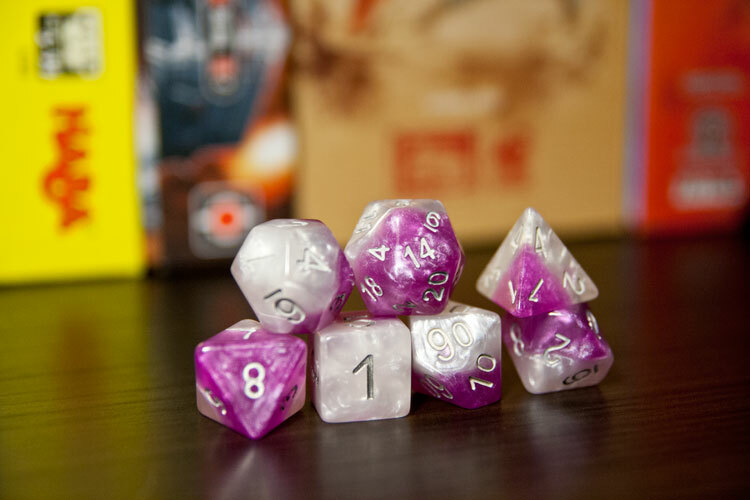 The set comes with the standard 7 dice that any RPG player should be accustomed to. Their campaign page has some really cool photos and videos of Halfsies in various locations around the world. It’s definitely worth checking out. For our own photos, unfortunately, as someone living in the midwest in a dreary winter, we didn’t really have anywhere cool outside to snap photos of the dice. Not even any cool snowy days. Oh well. We did still get to have some fun with our indoor shots. 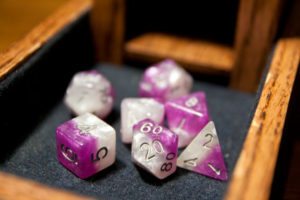 Their campaign is running now, so if you want to get your hands on some of these unique dice, head over to their page and check them out. Thanks for this one! This is great!